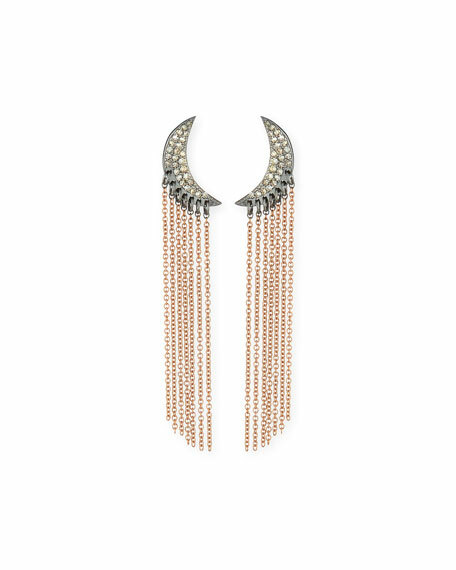 Moon chain drop earrings by Siena Lasker. Rhodium-plated sterling silver set with diamonds. 14-karat rose gold chain drops. 0.27 total diamond carat weight.